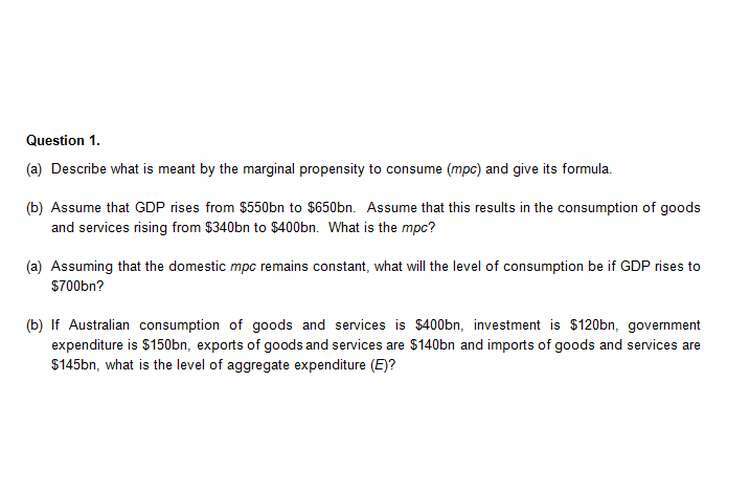 This macroeconomics assignment brief has 4 questions with sub-parts. 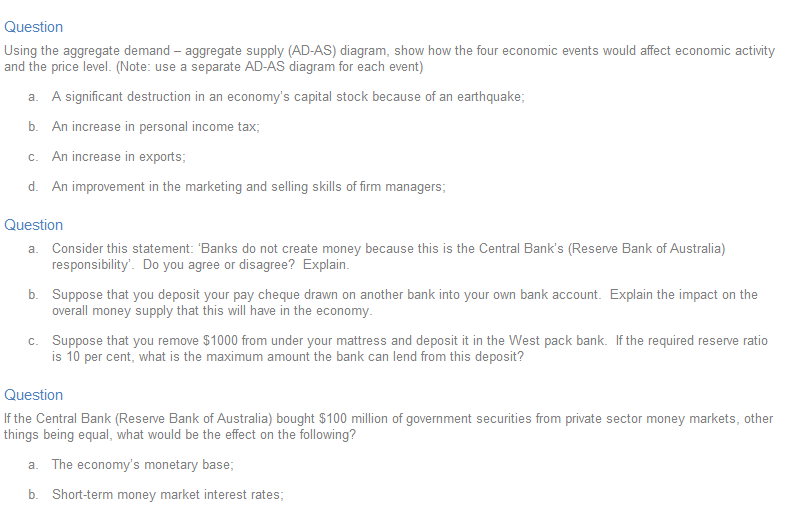 This assignment is worth of 20% of total assessment. According to ABS the unemployed person is the person who is 15 years old or more and not working anywhere. The person should look for any opportunity for work and have done any activity related to the search of job by the way of applying for any job advertisements and approaching any employer for work. The person must be available for the job before a week from the survey. A person fulfilling all the conditions is termed as unemployed person (Hughes Hallett, 2012). Cyclical unemployment depends on the position of the economic growth. There are various phases from which businesses go through and it depends on the economy’s conditions. When demand decreases businesses starts to loss their profitability. They start to cut their cost, and retrenchment is a tool to reduce cost in any business. Structural unemployment is different from cyclical unemployment as in structural remains for long duration in the economy and cyclical unemployment changes with change in the business cycle. Structural unemployment for long term can emerge cyclical unemployment. It affects the economy by giving impact on GDP (Stonecash, 2009). There are some problems identified critically for the measurement of the unemployed persons. As in all the conditions are not covered for being an unemployed. There are some loopholes in the execution of the framework of the unemployment by ABS. The employees of a temporary layoff are calculated as unemployed person no matter whether he is looking for job or not. ABS takes its definitions from the ILO which remained unchanged from several years. But now there are requirements of amendments in the concepts and standards (Hughes Hallett, 2012).